Just seen an article on this site regarding Thunderbolts with registration FJ. I have a photo of my father flying this aircraft. Please could you check your dates for 61 Air School. According to your details the unit disbanded on Jan 31, 1943. I know for a fact that 61 AS was involved in the search for survivors from the Doryessa at the end of April, 1943. On the night 4/ 5th feb 1944 a Short Stirling (EF469) from 169 sqn took off from RAF Tarrant Rushton, Dorset on a parachute drop to the resistance for the SOE. Jacob team were responsible for dropping arms & personel for training to the resistance prior to the invasion of the Vosges. Unfotunately on the 5th they ran into a mountain near Cornimont, France. F/O Thomas Moore S/No 150068, RAFVR, W/O2 Lionel Woodruff S/No R/149450 RCAF, died & are buried at Cornimont cemetary. P/O John Lindley S/No 145378 has a headstone next to them but died in the middle east. Sgt A.J. Cardiff S/No 1530448 (pow no 3983) & Sgt Gordon Hemmings S/No 2215965 (pow no 3995) were sent to stalag luft 1 Barth. F/Sgt B.H. Town S/No 1330416 (pow no 1903) was sent to stalag 357 Kopernikus Oerbke. Sgt J.F. Bartlet S/No R413431/44 i can find no service records, pow records. There are the graves, a monument for them & the French parachutists killed during the liberation of Cornimont nov 1944 & a memorial at the site of the crash. After a long absence I returned to login but was not able to. Possibly because I have not accessed the website in nearly one year. I looked for a password reset option but can not find one. Please let me know how to go about resetting my password. Or do I have to re-register? I have found some photographs of a Sunderland, a Singapore and several of Swordfish. I came across photos of Anson K6158 that crashed on 22/02/1937. My uncle was the radio operator. Is it possible to get copies of the original photos or ones with a higher resolution please? Could you please direct me to a contact person that could help us find out more on this service person. 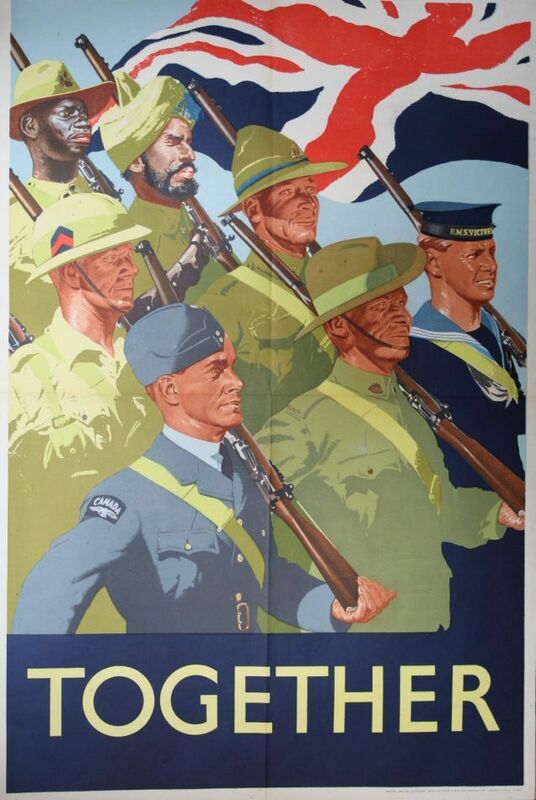 We are delighted to continue our research of those that have served our countries and fought for our freedom. Having been for a walk in my local cemetery,Plymyard,Eastham Wirral. I came across a head stone for a P/O Leonard Sinclair Bradburn. The headstone is very faded, but someone has filled his name using possibly a black marker, the rest of the details are faded. Having researched him he was killed on a training flight in April 1941. My question is, the headstone is not the normal CWGC, it is more probably a family one and because he was killed whilst training does the above not recognise him as a war casualty, hence the type of headstone used. It would be nice if some funds could be found to make it clearer/upgrade. This isn’t a comment, but I am getting frustrated that I cannot contact the webmaster. I have noticed a thread about my uncle (same name as mine) that I want to add some information too. I am not on facebook and cannot find a phone number on the site – I am having a problem registering. I’m Johan Ledoux from middle France. I have at home, a frame with an interesting original picture (and details about the pilots, cadets, group captains and air vice marshal “JT Babington”) of the Government Flying Training School in Singapore, dated October 1940. I would be selling it, if someone of your members is interesting. I can send pictures, if I had a email address where I can send them, or if someone can give me informations about this “Cadet Squad N°2” in Singapour. I would like to post a group photo of a bombing leaders course that may be of interest. How do I go about this? I posted on this site a few years ago and want to log on. Used to communicate with Henk Welting. I sent a request to update password but have not yet received an email to do do. not get access and the web master does not respond. Please moderator! would you kindly direct this problem to someone who I can interact with for help! please check your email. details have been provided. 1. date he joined the RAF – January 1939 or Apr 29, 1939 the date of his short service commission as Acting Pilot Officer. 4. No of kills – I have seen 7 and on your site I have seen 8 and 1 shared. I know that my Grandfather was mentioned in despatches. How can I find out the details of this award? I came across a discussion about my uncle, Colonel Milton Murphy, on your forum while doing a Google search in hopes of finding information about him. He went to Canada and enlisted in 1917, according to my mother, because he wanted to fly, and there was no Air Force in the United States, which was was not yet involved in the war (obviously it was early in 1917). After enlisting, he was sent to England. He served as an enlisted man in England from 1917 to 1918 – from a piece on him upon his retirement, in the Waterloo, NY Political Journal, October 30, 1953. “We flew by the seat of our pants.” – Milton Murphy. It was very interesting seeing a discussion of my uncle on your forum. I appear to be a member of this site but when I try to leave a message it says I cannot. My father was Flight Sergeant Hugh Parmenter Moule killed 3.4.1943. There was a question regarding him in lost airmen and I wanted to reply to it. The pilot’s name who was flying the Defiant wasW/O H Whitmill. The plane number A.A. 542. On that night they ran into some AA fire as there was enemy activity. The pilot took evasive action and lost height from 7000 feet to 1500 feet. They were unable to contact control or find a beacon but eventually were given a vector of 030 degrees which was confirmed again after another check fix. A few minutes after being given this vector the aircraft struck a balloon cable and the starboard wing caught fire. Pilot bailed out safely but my father was killed. In 1940 my father was in France in Squadron 13. The answer to the question was he Hugh Parmenter Moule 626121 who was the only survivor in the Lysander that crashed is correct and he did spend time in No 4 General Hospital. If you need to know anything else please contact me. Yes, he was the historian for the ES, a labor of love. Died in his native CA, 11-25-09. His medals/exhibit remain in his beloved England @ Duxford in Imperial War Museum. He also worked hard on developing the 1986 ES monument in Grosvenors Sq London. Not sure if this is the right place to leave a query, but cannot find anywhere else. I went into RAF Fighter Command and clicked on 1 Sqdn and up came 2 Sqdn, this happened every time I tried for 1Sqdn. Am I doing something wrong? my name is Ruggero Elia Felli, I’m the president of “Elbafortificata”, an Association that studies the World War II period at Elba Island (Tuscany). The 9th of September 1943, during the early hours of the morning, as a natural consequence of recent times changes, Gen. Gilardi released some British aviators caught in Pianosa Island, following an air crash. The crew was released on September 9th 1943, but from the documents in my possession I do not know if the accident happened on the 9th or the previous days / months. I’m looking for information about them. Which squadron belonged and which was the cause of the accident. As a Dutchman I have problems to come on the site. What can I do? I have a lot of information about the crash of the Havilland Mosquito RV326, crew Hudson and Gant. 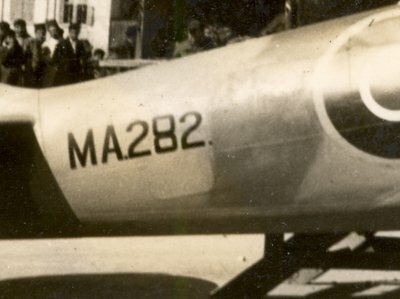 The unidentified aircraft pictured appears to be a Curtiss wright CW-19, probably originally either Chinese Air Force or (les likely)Burma Volunteer Air Force. 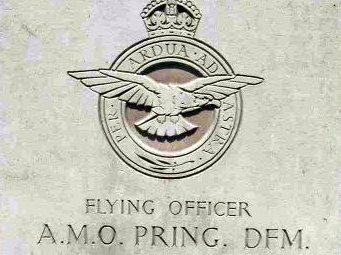 There is a request for information of pre-war pilots 41 Sqn on one of your fora sites. WO A B ATTAWAY was my uncle, but as a non- member, I do not see how to pass this info. Perhaps you can help. Problem accessing the forum . Is there a problem or is it just due to the weather we have been getting ? Hit the DB size Limit Alex – looks like they will take upto a day to fix. Thanks for the swift reply, I do hope things go well. In the thread ‘Unaccounted Airmen – 26-01-1946’ you list: MILLET, William Phillip Ivor – Air Apprentice – L/FX78600 – RN – Phillack ( St.Felicitas) Churchyard, Cornwall. 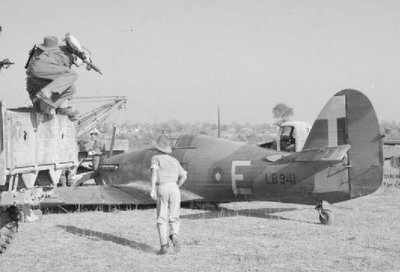 Ivor was posted to RNAS Lee-on-Solent as an apprentice artificer but was diagnosed with a heart condition and was invalided out of the service. He ded in St Michael’s Hospital, Hayle on 26th January 1946, age 21, and was buried in the churchyard of Phillack Parish Church. I would be verry greatfull for any informations, or if you can help me to fieel the gaps in the familly history.